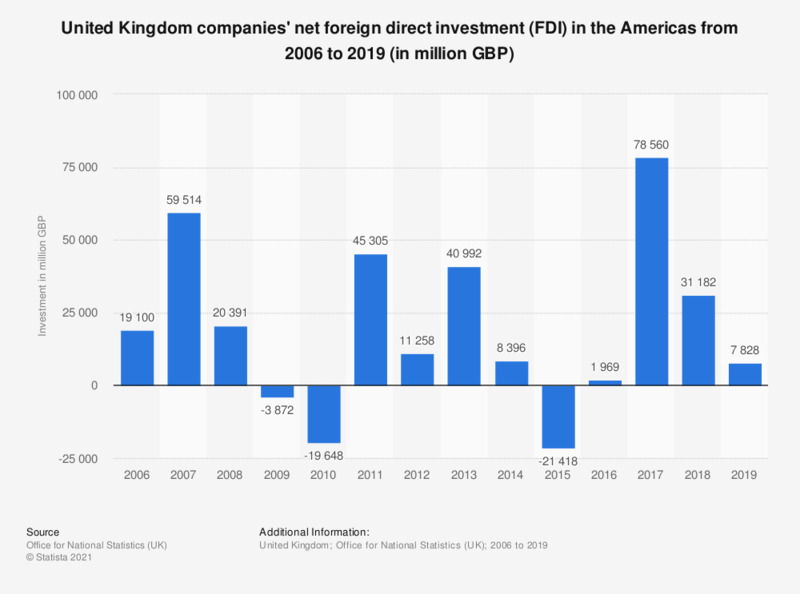 This statistic shows United Kingdom (UK) companies' net foreign direct investment (FDI) in the Americas from 2006 to 2017. Net investment was high in 2007 at 59.5 million British pounds. In 2009 and 2010, net FDI was negative meaning there was a net disinvestment in these years. However in 2017 it peaked at approximately 91.2 million British pounds.